A few weeks ago, my skin was in trouble. I don't know if it was the weather or what but, my skin was drier and duller than usual. I was experiencing frequent breakouts, too. Not fun! I came to the conclusion that it was time to replace my cleanser and try something new. When it comes to cleansers, I usually look for ones that help treat my acne, and/or won't irritate my sensitive skin. Well, obviously the cleanser I was using just wasn't cutting it anymore so ultimately, I decided to search for a much more gentle one. 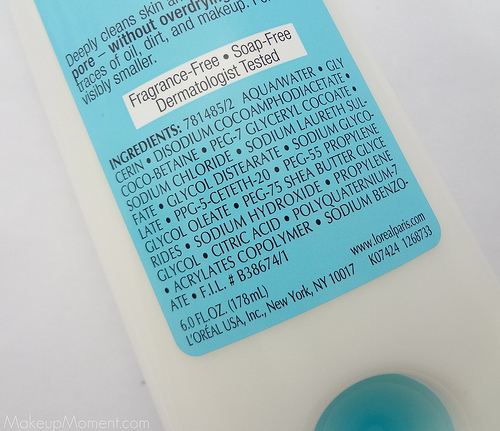 I was really happy that I spotted the L'oreal Go 360 Clean Deep Facial Cleanser for Sensitive Skin ($6.49), at Duane Reade. 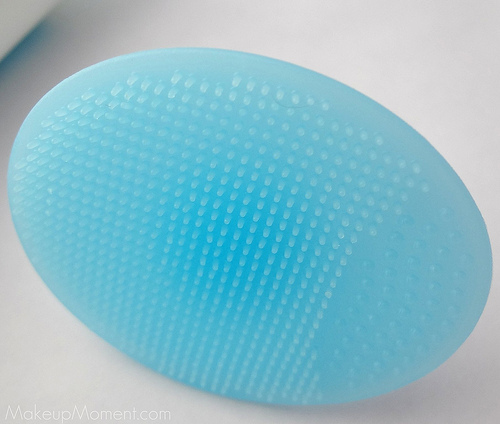 I decided to give this cleanser a try not only because it was made specifically for those with sensitive skin but, the round blue scrub tool looked really intriguing. Gadgets have that effect on me, sometimes. 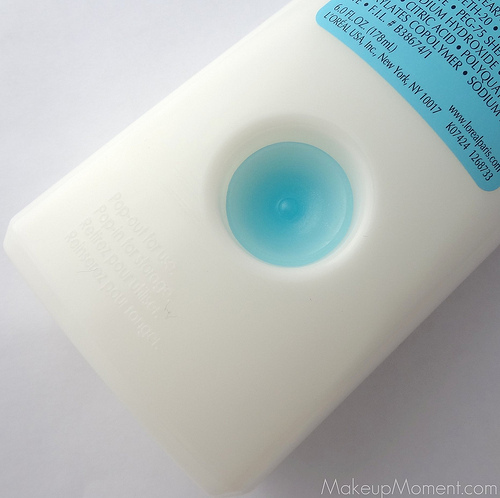 After a few weeks of use, here are my thoughts on this cleanser. The bottle design is not only simple, but functional as well. I think it is genius that the scrublet tool has its own storage compartment, right on the bottle. Just pop out the scrublet to use, then pop it back in when you are done. Easy! And, you don't run the risk of misplacing the scrublet. After I remove my makeup with my Garnier towelettes, I then proceed to cleansing. 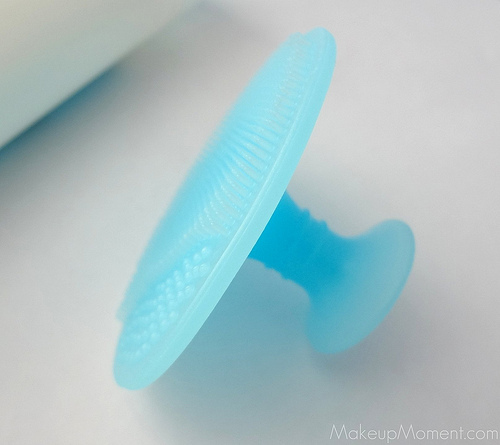 To use, I first pour a dime sized amount of the cleanser onto the scrublet (a little truly goes a long way), then I hold the scrublet by the handle and start buffing the cleanser onto my face, in circular motions. I was surprised to see that this cleanser created a creamy lather, almost immediately. I say surprised because, most of the creamy cleansers that I have tried in the past, don't produce much of a lather. They just sit there on my skin. The patent-pending, flexible scublet feels really gentle on my skin. I feel that the spikes are really effective at providing that bit of extra, gentle exfoliation that I love. After I have rinsed the cleanser off my face, my skin feels really clean and smooth. I am glad that my face does not feel tight or stripped of. I have tried cleansers in the past that have made my face feel just like that. To be honest, I used to love that feeling. Now, I have learned that just because a cleanser rids my face of oils and any bit of moisturization that I may have, it does not mean that it is necessarily a good thing for my sensitive skin type. 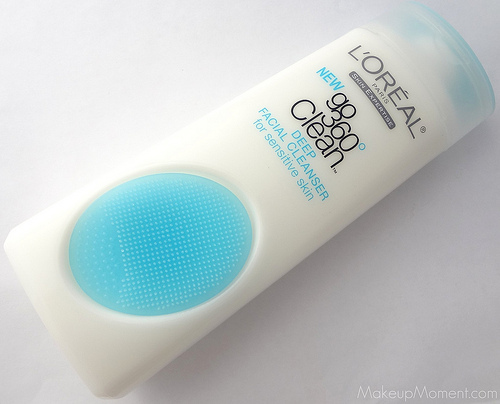 I think this cleanser from L'oreal is certainly a good first step towards the direction, where I want my skin to go and, I am happy to report that I am seeing results. I truly believe that this cleanser has helped improve my skin texture and appearance. I started seeing an improvement in my skin after the first use! My skin tone is much more even, the dullness has diminished, the redness and blotchiness are gone, my pores are smaller, and my breakouts have subsided. Don't get me wrong, I still break out, just not as much as I was, before I started using this cleanser. I know these are huge claims but remember, this was my personal experience with this cleanser. What worked for me, may or may not yield the same results for you. But you never know until you try, right? I am really glad that I decided to give this cleanser a shot. I know my skin thanks me, too. I was putting my skin though so much and, switching to a soap free, and fragrance free cleanser was a change that was very much needed. I really hope this cleanser continues to work for me, for a long time. You know how sometimes your skin gets accustomed to a product after using it for awhile and, it just doesn't work the same anymore? Yea, I really hope that does not happen with this cleanser. 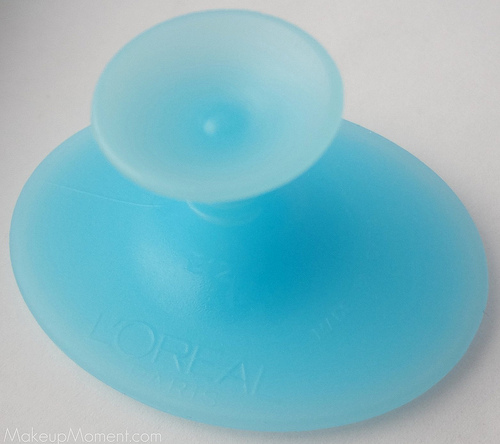 There are other variations of the L'oreal's Go 360 Facial Cleansers, including one that helps treat breakouts. I may just give that one a go, next. This cleanser is inexpensive, readily available in drugstores, and it does a lovely job at deep cleaning my face without irritating it and, stripping it from essential moisture and such. Its really gentle. Overall, if you have sensitive skin, I think this cleanser is definitely a product you may want to look into. 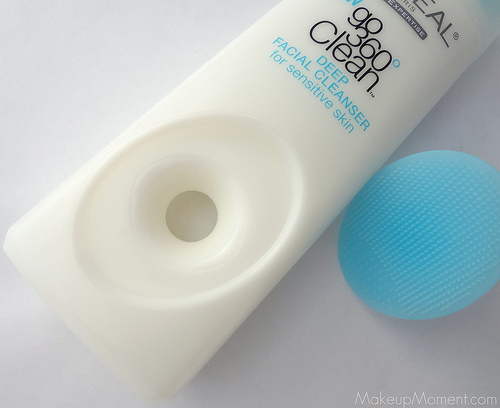 What do you all think of the L'oreal Go 360 Deep Clean Facial Cleanser for sensitive skin? Tried it? Which are your favorite cleansers? thanks for the review, i might pick this up because my skin is weird and dry.